Nothing is more appropriate than a gorgeous chiffon dress for a formal event. Chiffon are appropriate for such a variety of events that you can style them for semi-formal, formal, and even casual occasions. This beautiful chiffon dress is irresistible and is a must addition to your wardrobe, plus with such an affordable price tag, there is not a reason you shouldn't buy it. 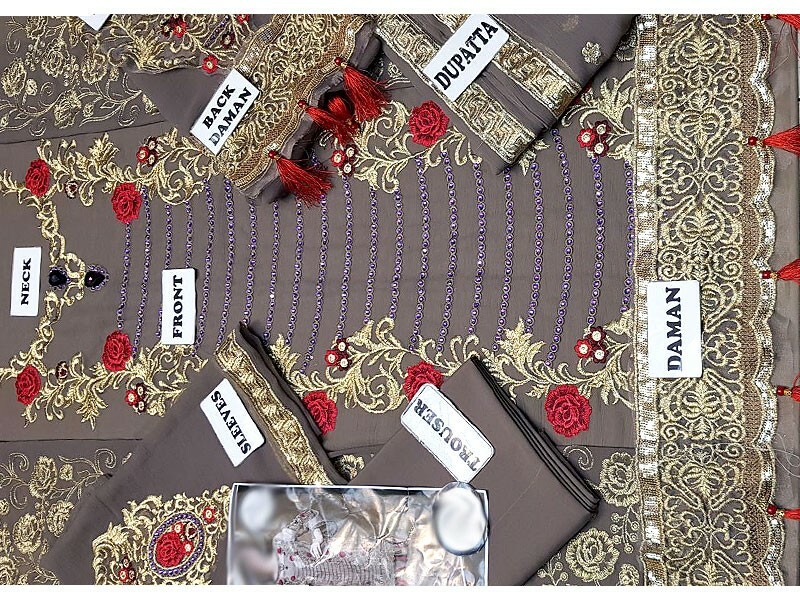 It is a three-piece suit in a pretty taupe color and consists of a magnificently embroidered shirt, plus dupatta, along with a plain trouser. 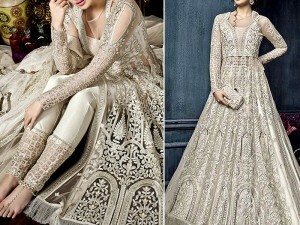 The Designer Embroidered Chiffon Dress has a chiffon shirt with zari and nag work embroidery in shades of gold, plus red. 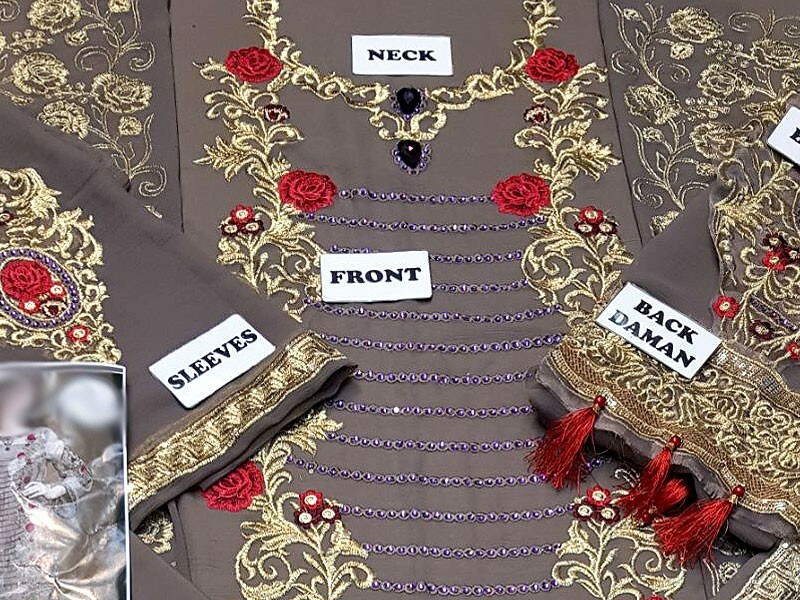 The border of this women dress has intricate embroidery with red tassels, which give the dress a very royal look. 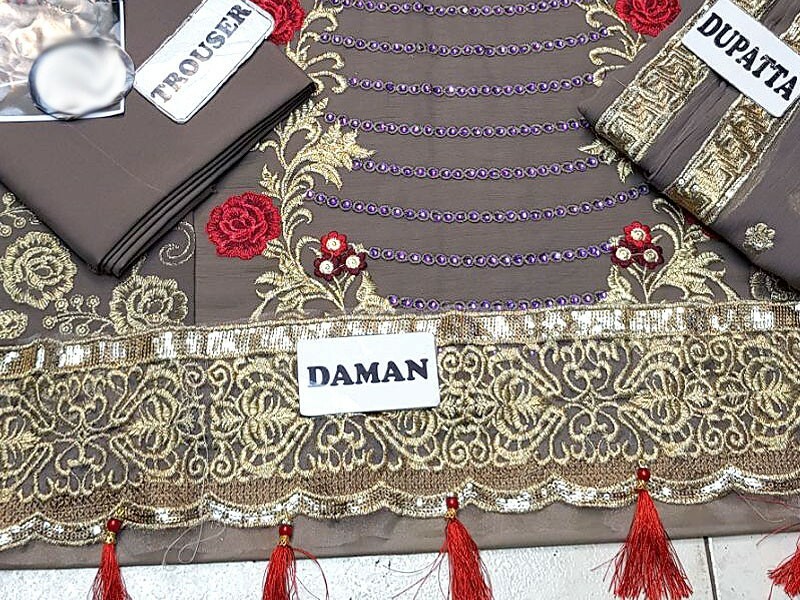 It has a chiffon dupatta with light embroidery that is easy to carry and style, along with a plain crepe trouser, which you can get stitched in any style you want. 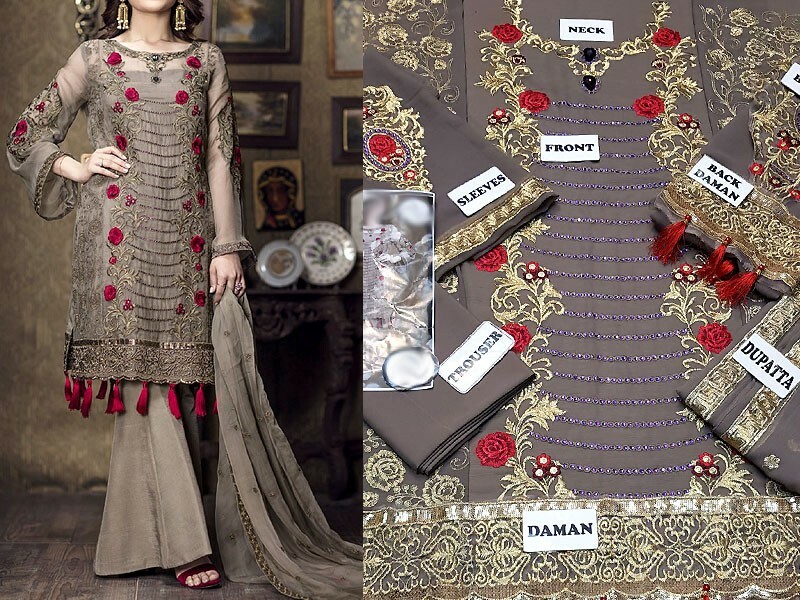 Designer Embroidered Chiffon Dress Price in Pakistan (Code: M010638) offer by PakStyle are just Rs.2995/- instead of Rs.4000/-. 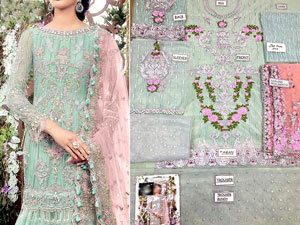 Buy Designer Embroidered Chiffon Dress Online in Pakistan and variety of other products like Womens Clothing, Womens Dresses, Chiffon Suits at PakStyle.pk and enjoy Fast Shipping with Free Home Delivery in Karachi, Lahore, Rawalpindi, Islamabad, Faisalabad, Hyderabad, Quetta, Peshawar, all across Pakistan and get it delivered in 1-4 working days.